We are pleased to announce Jean Gould has joined the PESA Staff as senior director of public policy. Gould brings more than 25 years of government and public affairs experience, managing public policy issues at the state, national and international levels. In this role, Gould serves as staff liaison to the PESA Policy, Government Affairs, Legal and International Trade Committees, developing and maintaining the PESA policy platform, promoting and advocating for issues that affect the service and supply sector. Gould comes to PESA from the American Bureau of Shipping (ABS), an international classification society where she served as VP, External Affairs and Communications. Before joining ABS, she served as director of corporate and government affairs for Coyne PR, a leading public relations agency. 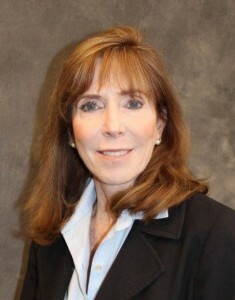 Gould began her career as an engineer with Exxon Corporation. She spent 18 years with Exxon holding a number of positions in operations and corporate affairs, including federal lobbyist and international corporate affairs advisor. Gould earned a Bachelor of Science in Chemical Engineering from Georgia Institute of Technology, an MBA from the University of Houston and a Master of Science in Global Affairs from New York University. PESA High Performer Spotlight: Matt Autenrieth, Corporate Development Manager, Oil States International, Inc.